Greece could claim to be the birthplace to some of the most intriguing sweet wines in the world that can rival top quality styles from anywhere else. Many of the international leaders in sweet wines, however exceptional, are too rich to be consumed with food, in sharp contrast with their Greek counterparts. The rich, grapey aroma and balanced, fruity acidity of the Greek Muscat make them some of the finest examples of their kind in the world. Candied oranges, gingerbread cookies, apple or apricot pie, white chocolate, fruit cake, feta and blue cheeses like Stilton or Roquefort can nicely complement the honey and citrus flavours of Muscats from Samos, Limnos, Patras or Rhodes. The powerful, port-like nutty sweetness of Mavrodaphne dessert wines, coming from Patras, Cephalonia or elsewhere, does well with chocolate and nutty desserts, tiramisu and mince pies. It can also used as a flavouring agent in a wide range of dark sauces served with beef gravy, roasted chicken or turkey and game. The oldest bottles, however, have to be reserved for “moments of meditation” and be paired with unsweet desserts, like those based on bitter chocolate. 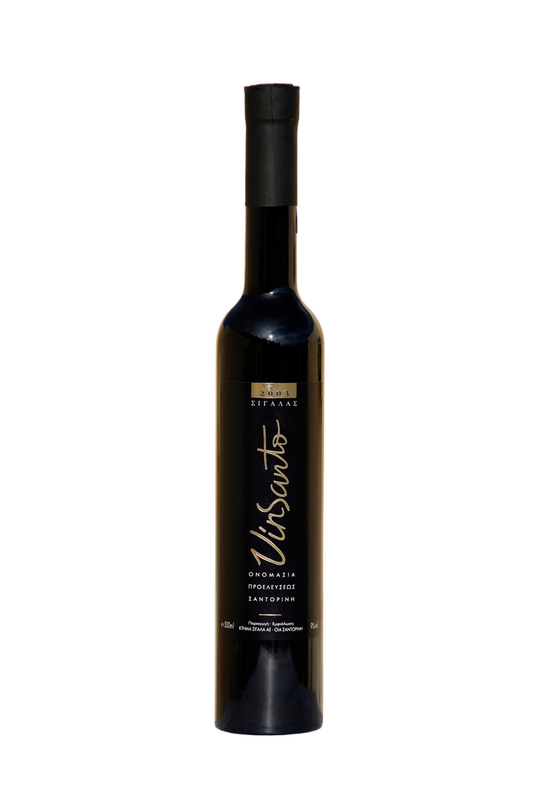 Santorini’s fascinating, rich Vinsanto, with its refreshing acidity and huge extract, can be enjoyed not only on its own, but deliciously matched with baklava or any other sweet pastry made with phyllo, as well as with crème brulée, chocolate puddings, baked quince, pecan pie, carrot cake, rich pâtés and mince pies. Nevertheless, many professionals make a distinction between sweet wines made for desserts and sweet wines that can accompany savoury dishes – and Vinsanto is definitely a savoury-sweet wine. Try it with dense, intense, creamy cheeses or even roasted meat stuffed with fruit.